LONG BEACH, Calif. – David Brabham found the tire wall last year at Long Beach in qualifying and this year found himself on the pole when Gil de Ferran spun and hit the barriers to end the duel between the two Acura ARX-02a drivers. The Highcroft Racing Acura will start on the inside front row in the American Le Mans Series sprint, earning the top spot by a margin of 0.072 seconds over the fellow LMP1 class entry of de Ferran Motorsports. De Ferran’s spin brought out the red flag for the second time in a chaotic qualifying session that could produce a jumbled grid and likely fraught action in Saturday’s 100-minute event on the Long Beach streets. If de Ferran Motorsports must change both rear tires after backing into the barriers, it will have to give up its front row position and go to the back. In GT2, two drivers were “invited” to the IMSA trailer for intentional contact and possible penalties. The fastest car, the Ferrari of Risi Competizione, failed inspection due to a low ride height and will go to the rear of the 21-car field. “It was nice to come here and get the job done,” said Brabham, who was working on a pole-winning lap last year in Highcroft’s LMP2 class Acura when he overcooked his braking at Turn 9. This year, he set the course record for the ALMS with a lap of 1:11.627 (98.912 mph), beating Lucas Luhr’s mark that was set in an Audi R10 TDI last year. 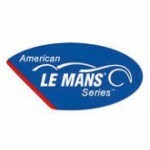 The de Ferran entry has failed to finish either of the first two rounds of the ALMS season. Should it not encounter insurmountable repairs and survive at Long Beach, the race is expected to be a two-car chase between the Acuras, which will be joined by two aging privateer Lola-AER entries in the LMP1 category. In the LMP2 category, which has been slowed this year vis-a-vis the LMP1 class, Dyson Racing’s Guy Smith found pace late in the session in his BP Lola-Mazda to narrow the gap to the pole-winning Acura ARX-01b of team owner/driver Adrian Fernandez. After snafus hampered the Dyson team in the test session on Thursday, Smith brought the Lola-Mazda within 0.244 seconds of the Acura of Lowe’s Fernandez Racing. “We had a good practice this morning and the car showed its pace,” said Smith, who missed all of Thursday due to a bad wheel bearing. In the final appearance in North America for the GT1 class Corvtte C6.R’s of Corvette Racing, Olivier Beretta took the pole in the No. 4 entry from teammate Johnny O’Connell’s No. 3. The margin was 0.192 seconds. The typically close GT2 grid will be led by the Farnbacher Loles Porsche, which replaced the Risi Competizione Ferrari on the pole. Driver Wolf Henzler suffered oversteer in his Porsche, but still beat the Flying Lizards entry of Patrick Long. “I think we were faster because we waited to go out and did more laps at the end of the session,” said Henzler. Long also encountered damage from a ramming incident with the Viper of Joel Feinburg. Both were called to the IMSA trailer after qualifying to discuss two episodes of side-to-side contact. Feinburg, whose Viper is four seconds quicker on the long straigt but two seconds slower per lap, decided not to let Long pass on the straight while the Porsche driver was gunning for class pole versus the Risi Ferrari of Jaime Melo and Henzler.